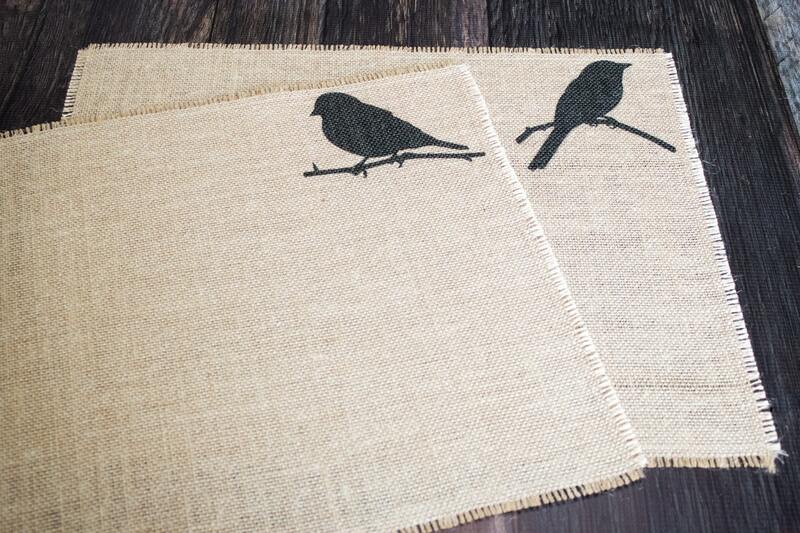 Celebrate spring and gift your favorite birdwatcher a lovely set of burlap placemats! 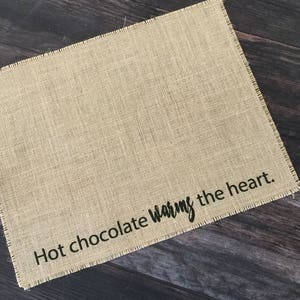 They're a unique and creative gift for Mother's Day or Easter, too! 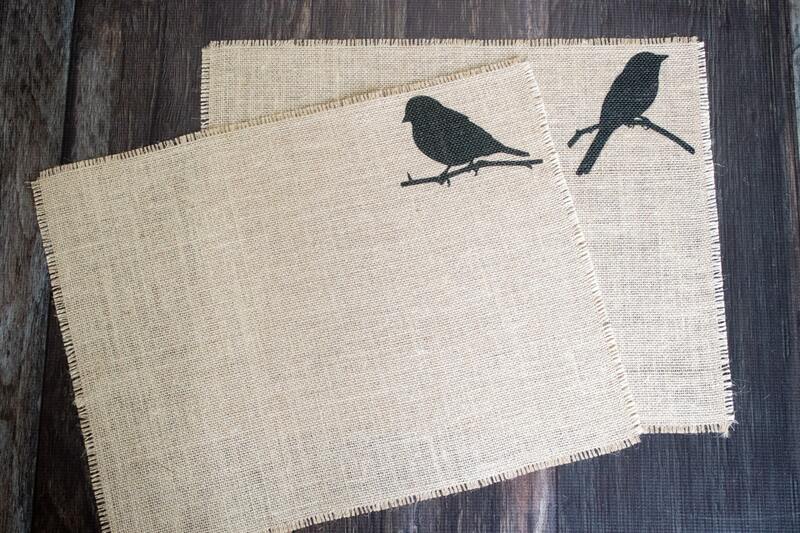 The seasons come and go so quickly that it's hard to redecorate the entire house, but it's easy to lay out new placemats and bright cheerful spring napkins. 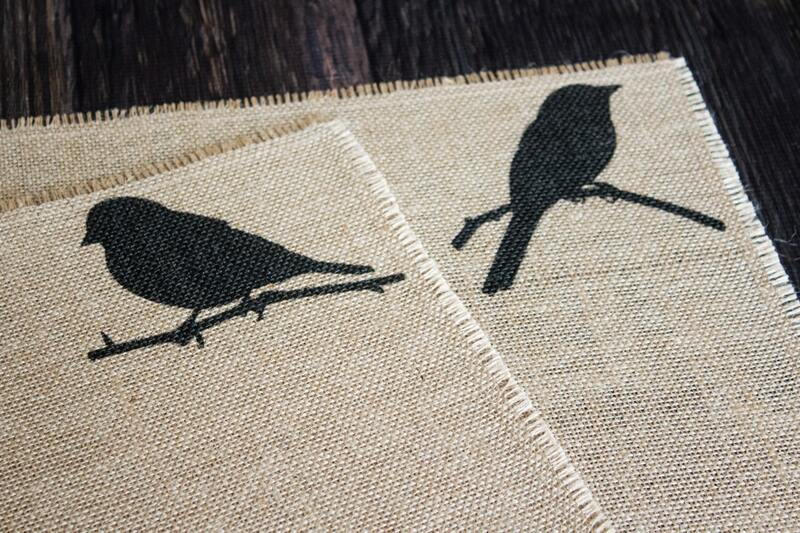 High quality burlap is a fantastic medium to work with too. 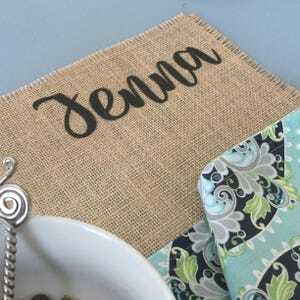 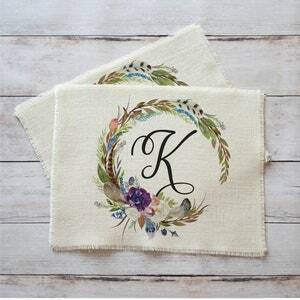 It doesn't shed or smell like cheap box store burlap and it brings just enough natural color texture to your place settings to warm the decor. 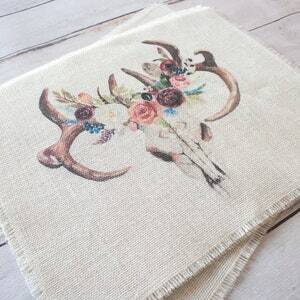 It's neutral which means it blends seamlessly with many decorating styles; shabby cottage chic, farmhouse country, western ranch, contemporary rustic.